Many U.S. states and Canadian provinces have replaced a monopoly system of electricity and natural gas with competition, giving businesses real energy choice. New research shows that energy choice is paying huge dividends for customers. 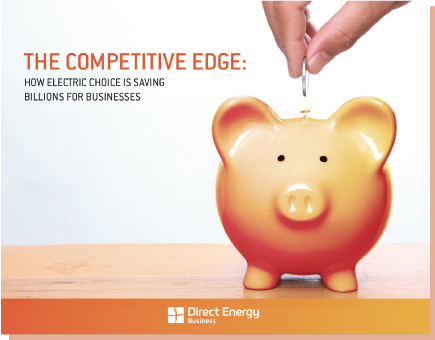 A recent, independent study conducted by Energy Research Consulting Group (ERCG)1 found that businesses in several deregulated U.S. states and regions have saved billions through electric choice. Simply provide the information requested in the form on this page to download our full report and learn more. 1. Energy Research Consulting Group (ERCG), ERCG’s ABC Study: National Findings Presentation, December 2016.